Remember when you get your passport? You felt like you can finally go anywhere you want and Disneyland in United States might be one of the list, however, you still need to get a visa, and such task could be troublesome. Do you know that there are some nationalities that can travel most of the countries without any visa? Global consulting firm, Henley and Partners, ranked all the countries around the globe according to the travel freedom their people have. Called ‘Visa Restrictions Index’, if is the ranking list of countries with most and least required visa. Many might know that Cuba and North Korea have very strict travel regulation, but surprisingly, they are not at the bottom spot. Out of 94 ranked countries, North Korea came at 86th place while Cuba is 69th. The ranks are based on scores according to the visa regulations of all countries around the world. They also consider the total number of countries their citizens can visit without visa. Surprisingly, the lowest spots were taken by Afganistan whose citizens can only travel to 28 countries without a need for a visa. It had ranked as the 94th. Iraqis can travel to 31 countries while Pakistan and Somalia nationals can go to 32. Those who are under the Palestinian Territory can visit 35 countries. On the other hand, Finland, the UK, Sweden, Germany and the US took the top most spot, having the freedom to travel to 174 countries without having to bother with getting a visa. 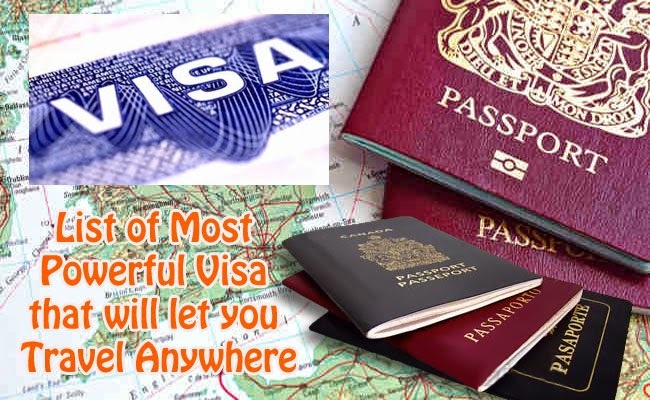 Most countries require visa to those non nationals getting into their territories and this reflect status and relationships of countries with one another.